← Joan McAlpine MSP Gets It Oh So Wrong on the Supreme Court Asbestos Case – No Lassie No! In 1988 Sir David Murray bought Rangers Football Club for the price of £6 million and in doing so laid the ground work for his very successful (in trophy terms anyway) control of the club over the next 22 years. 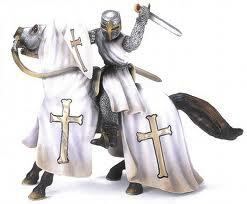 Is there any possibility he could ride to their rescue again, as a, to pardon the pun, White Knight? And if so, how and why could he do so? As the weeks go past, speculation about the future of Rangers Football Club increases. Their troubles with the taxman, with their former solicitors and with their former Chief Executive are well publicised. There is much interesting and apparently informed commentary on sites such as rangerstaxcase.com regarding events at Ibrox and the intentions of the new owner Craig Whyte towards the football team. Rumours are rife that the company which owns the club, and which Mr Whyte bought from Sir David Murray’s companies, for £1 might go into receivership, administration or liquidation. The merest mention of Rangers on the published court lists, even where they are actually pursuing a case, causes people to ponder precisely where this leaves matters. Will Rangers go under, to be resurrected by a new company buying St Mirren and moving them to Ibrox? 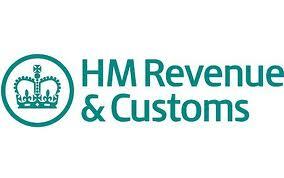 Will HMRC get any or all of its money paid to it? Will Mr Bain, the former CEO, get his day in court and is there anything of interest to be uncovered by his legal team in the Rangers’ records? Is Mr Whyte in this for the long-haul, or is it purely and simply a business investment for him (bearing in mind his history of investing in troubled companies and seeking to make money from a turn around or asset disposal)? Will the documentary scheduled for next week on BBC1 shed any light on matters? I am happy to say I am not going to answer any of those questions just now, but there is one part of the conundrum which I thought might be worth consideration, so here goes. Might Sir David have the glue to stick this together again? 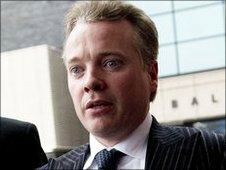 When the transfer of the 85% of the shares in the Rangers Football Club PLC (“the Club”) from Murray MHL Ltd (“the Vendor”) to the Rangers FC Group Ltd (formerly Wavetower Ltd and referred to hereafter as “Group”) was concluded, Mr Whyte issued a circular to the remaining shareholders. This document has already been analysed in depth, but there is one part I want to look at. Of course I do not have access to the “side letter” so it might render moot all contained herein, but bearing in mind the relevant company legislation, and the duties on companies not to mislead shareholders I do not imagine the side letter saying, in effect, that all the undertakings are worthless. Subject to that proviso therefore, it should be noted who can enforce the undertakings which are Group’s (i.e. Mr Whyte’s) commitment to the Club. The Club, which is of course owned effectively by Mr Whyte, and “the Vendor” can each do so. The circular makes it clear therefore that Murray MHL Ltd has the power to seek to enforce the undertakings given by Mr Whyte’s Group. Whilst some of the undertakings are medium or long term, there is one in particular which might be on the point of being broken. “The Rangers FC Group is to contribute to the Club the amount required to meet a liability owed by the Club to HM Revenue & Customs in relation to a discounted option scheme tax”. This is the so-called “Small Tax Case”, and is in connection with the sums in excess of £2 million frozen by HMRC. It would appear that these sums have not yet been paid, and recent publicity from the loquacious Mr Whyte suggested it would not be paid until the question of the further £1.4 million penalty was resolved (that is not how HMRC works however). The frozen funds, if Rangers avoid an “Insolvency Event”, will in due course be automatically paid to HMRC but at any time prior to that Rangers could authorise release. It may well be that Mr Whyte wants to hold the funds where they are in the event that an Insolvency Event occurs before the arrestment of the funds secures a preference for HMRC, thus giving “Group” as floating charge holder first call on it. Alternatively, he might not want to be seen to have breached the undertaking. What are the effects of Group breaking such an undertaking? The RangersTaxCase blog referred to has pointed out that, on the takeover, “Group” took an assignation from the Bank of £18 million of indebtedness owed by the Club, in return, one assumes, for a payoff at a discounted rate. In addition, “Group” acquired rights under the Bank’s floating charge. The speculation regarding Mr Whyte’s intentions has centred upon “Group” having the right under this floating charge to have first call on the assets of the Club, in terms of the ground, Murray Park, players’ transfer fees etc in the event that an “Insolvency Event” takes place. Bearing in mind that the debt owed to “Group” is increased by all the investment made into the Club and presumably with hefty management fees and charges for Mr Whyte’s expertise and that of the other directors and staff, it may well be that that sum is substantially greater now than £18 million. If, however, that debt is “automatically extinguished” where does this leave “Group”? Suddenly the floating charge would be ineffective, as the underlying debt had gone. The Club would be left with all its creditors, unless the HMRC and Bain arrestments had been in place long enough, having an equal claim on the assets, and HMRC would have in excess of 25% of the debt, which would allow them to block any CVA entered into by the Club if it failed to pay sufficient to HMRC in connection with Rangers unpaid tax bills. Such a development would scupper what some have guessed to be Mr Whyte’s plans! The Club (owned by Mr Whyte and his “Group”) is not going to accuse “Group” of breaking its undertakings. But could the Vendor, Murray MHL Ltd, do so? The fact that, as at 10th October, it is listed as a “non-trading” company would not prevent it taking action. It is still a live company whose returns are not overdue. The Vendor therefore could raise the issue of breach of undertaking, triggering the extinction of the debt owed to “Group” by the Club. This would play out in the court, but would have the potential to put a significant spanner in Mr Whyte’s works. Such an outcome would remove a large chunk of Rangers’ debt and maybe, as I have speculated before, be enough to allow the Club to survive, without the complications of a new company etc being created. 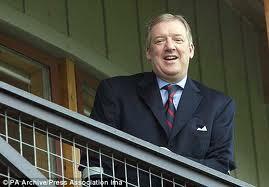 Could Sir David Murray decide to pursue such an apparently quixotic course of action? Perhaps, if he felt aggrieved that his loyal lieutenants, such as Martin Bain, and Donald McIntyre, had been treated so badly? Might he be concerned that Mr Whyte’s alibi if Rangers collapse, as already hinted at in the Bain litigation, is that all the fault lies with the Murray regime? Might Sir David decide that, in an effort to preserve Rangers from a rapacious asset-stripper (and of course I am not suggesting in any way, shape or form that Mr Whyte or his associates could be described as such) he should take a last stand at Ibrox? The answer to all those questions is probably no. I suspect that Sir David Murray has had enough of Rangers to last him many lifetimes. However, if he sees that there is a necessity to protect the Rangers legacy…one never knows! Addendum – Just to make it clear, I do not see this as a way for Sir David Murray to retake control of Rangers, but is there the smallest chance he might see a way of acting, one last time, in his old team’s best interest? Intriguing, albeit (as you admit), speculative stuff. Just a small point. You posit the theory that Minty could possibly invoke the “extinguish debt” terms of his deal with Whyte in circumstances where Whyte welches on his investment undertakings. However, from the quote you emboldened from the Circular the debt write-off would not happen automatically but, rather, by agreement between by the parties at the relevant time. Would this not give Whyte the opportunity to stymie any altruistic (in Rangers’ favour) plans from SDM if he so wished? Thanks for the comment – intriguing is the word for all this, though there are rumblings that in fact Murray Group are looking into this now. The meat of the agreement will be in the contract for the sale which will, I am sure, lay down ground rules for how the debt would be extinguished. As specutated elsewhere, this might just be SDM trying to save face, but potentially he could cause significant problems for CW! 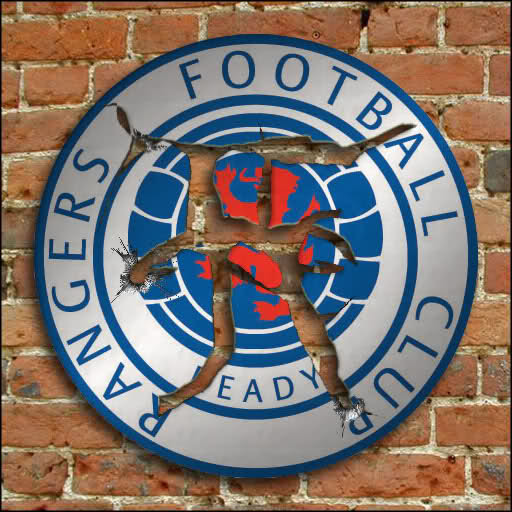 Stole your broken crest picture…..was the best one that i could find. Sorry.